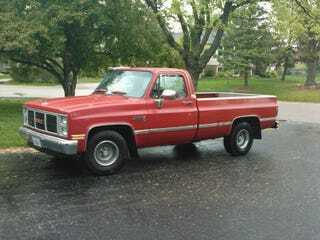 What would Oppo recommend for an old (pre-1988) half-ton truck? My Aunt and Uncle recently bought a farm, and they’re looking for an old truck with an 8 foot bed. I’ve found both Chevrolets/GMCs and Fords, and I want to know what Oppo would recommend. Personally, I’m leaning towards the GM trucks, as parts are dirt cheap, and the trucks in that price range don’t appear to be completely trashed.